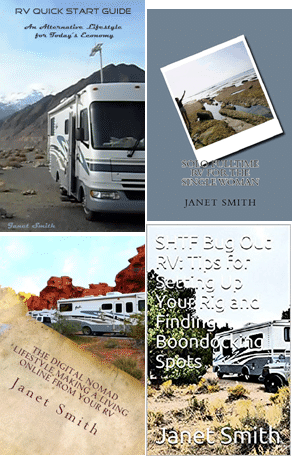 Baskets are a perfect “tool” to use in organizing your RV home. They’re often inexpensive, beautiful and functional items. And baskets are usually made of quite durable materials for the typical person’s usage. You can use them in every room of your home. Use them to organize and store everything from your kitchen utensils to your bathroom towels to your child’s toys. In a way, baskets are a magical organizational tool. Why? Baskets are decorative items that hide mess right before your eyes (and those of your visitors). They’re your home organization magic wand–the one that makes disarray disappear in seconds. Here are seven types of baskets and how to use them to organize your home. Click on the images for more options. 1. Stair Basket – A stair basket is shaped like the letter “L” upside down. Set one on your top step or your bottom step of your staircase. Fill the basket ongoing throughout the day with things that need to go up or down. That way you only make one trip. And whichever direction you go with it, up or down the stairs, leave it at the opposite end of the stairs once it’s empty. That way your next trip with the basket will include items that go to the opposite end of your home. 2. Bushel and Peck Baskets – These look like wide, round pails and usually have swinging metal handles. They’re deep baskets (that hold a bushel or a peck, for example). And unless you’re a farmer (or selling produce at a farmer’s market), you won’t want to fill them with dozens of tomatoes, apples or other fruits and vegetable (unless you have a lot of immediate family members to feed!). Instead fill them with your children’s miscellaneous toys divided into different categories for each basket (dolls, soldiers, rubber balls, etc.). 3. Wicker File Baskets – Wicker file storage baskets or boxes are becoming quite popular. You’ll find them in lots of mainstream stores or specialty organizing stores. They’re sort of square or rectangular shaped baskets (to accommodate hanging file folders or manila file folders). Usually the wicker file storage basket is made of rattan (because it’s quite sturdy and durable). And they’ll often have a lid and swinging handle so you can go mobile with the baskets from room-to-room. For instance, carry the file basket from your home office closet to the kitchen table to do your work. Just store the file basket on a shelf in your home office like you would a box. Or store the basket in the open; that’s okay because wicker file baskets are much more stylish to look at than a plain paper file storage box or traditional metal filing cabinet. A wicker file basket is part of your home decor. 4. Utensil Caddy – You’ve probably seen these at picnics. They’re a caddy or basket with dividers and a handle so you can tote it around. A picnic caddy might be used to separate the knives, forks, napkins, etc. The utensil caddy might be made of rattan or willow or something else even such as plastic. Use them in your kitchen to separate whatever you’d like (anything from straws and coffee filters to plastic forks and knives). These baskets work in the bathroom too for separating and toting toiletries. 5. Hanging Wall Pocket Baskets – These baskets, often wire or rattan, have a flat back so the basket hangs flat against the wall and a pocket opening. Stuff it with oven mitts in the kitchen. Or fill a “pot-bellied” wall pocket basket with a decorative flower arrangement and hang it in the foyer. 6. 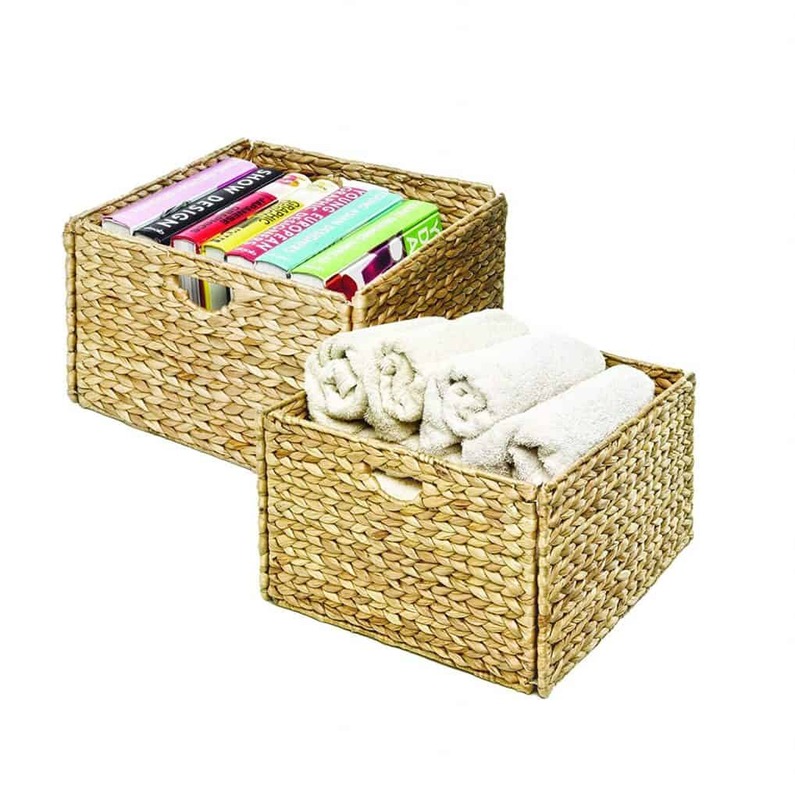 Wicker Hamper – The best thing about a wicker hamper is it’s lightweight and durable. Fill it with guest pillows in storage or your child’s large collection of stuffed animals. You’ll find many sizes ranging from mini hampers to full-size hampers. Rattan is common in hampers. But look for rag basket/hampers too for ones that are more unique and stylish. 7. Wine Caddy – Store your bubbly in a vertical, cylindrical shaped wine caddy or tote it in one that has a top handle. A wicker wine caddy is an inexpensive way to jazz up a gift bottle of wine (and it’s classier than a paper gift bag.). Just line the caddy with some colorful tissue paper that starts at the inside basket base and fluffs up all the way around the wine bottle where you can see it. Then tie some curly, sparkling streams of ribbon to the handle. When your gift recipients are done with the wine, they can use the wine caddy basket to store tall utensils. And don’t forget, even the plainest, ugliest basket (in your opinion) can be painted or adorned and decorated in many other ways. Don’t discard these functional, handmade works of art.